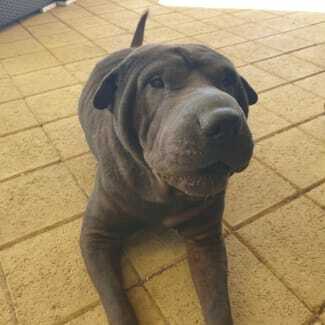 We are a Not for Profit Organisation & breed specific rescue dedicated to the rescue, rehabilitation and rehoming of Shar Pei (including crosses of the breed) in Western Australia, also extending our services to all Australian States. 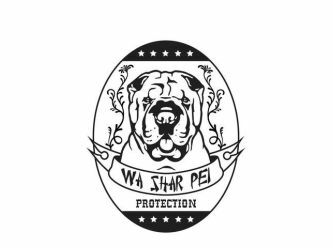 Operating since 2013, We live and breathe Shar Pei! (Farts included hahaha) . We are currently regrouping so please give our Facebook and Instagram pages a like/follow and join the lives of our foster and adopted dogs! If your looking for a happy, slobbery, boisterous, active and fun loving pup look no further because you need Cooper in your life! 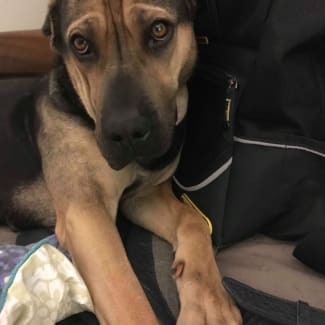 !🥰 Cooper is a 12month old very excited and loving girl💕 ! She was an unclaimed pound dog from rural QLD who came into our care in bad condition, very skinny and nervous. She has since absolutely thrived and is a gorgeous girl! Being a young pup she needs some guidance and a bit more training to help her become a more well mannered doggo but will settle in a new home quickly. Cooper thinks of herself as a lap dog and is completely unaware of her size haha! Her foster family love her and know she will make a great family member! Cooper is socialised around all humans and dogs alike. 🐾😎 Cooper is fantastic off lead and doesnt want to leave your side. Surprisingly Cooper is also amazing with cats. Cooper really is a stunner and would prefer someone who is home alot or another dog to keep her company. Cooper is an inside dog and and absolute catch. 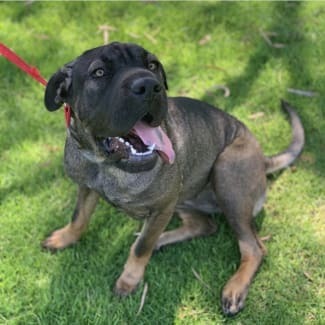 Tilla is an absolutely divine shar pei x working dog and loves to play and long walks on the beach...neighborhood or run in the park. She came to us all the way from a NSW rural pound where she was very timid, nervous and skinny girl but had since come into herself, found confidence and has thrived in care. Tilla does initially prefer females over males (company human wise) but will warm up to men in her time and before long become the most loyal gal pal. Tilla has basic training down pact but is also very clever and picks things up extremely fast and easily. Tilla would suit an active family although preferably with older children as she isn't familiar with small/young children.